This course will teach you how to manage and deploy systems in hybrid cloud environments, install and configure Red Hat CloudForms, implement auditing and compliance policies, provision virtual machines and catalogs and run automation features. 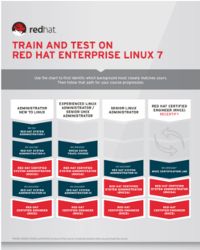 This course will help you in your preparation for the Red Hat Certified Specialist in Hybrid Cloud Management Exam (EX220). This version of the course includes the exam.